At Dutch Premium Yachts we care about the details. This can even be found in the decorations. In the image below, the samurai armor display is a typical decoration made for the boy day in May. 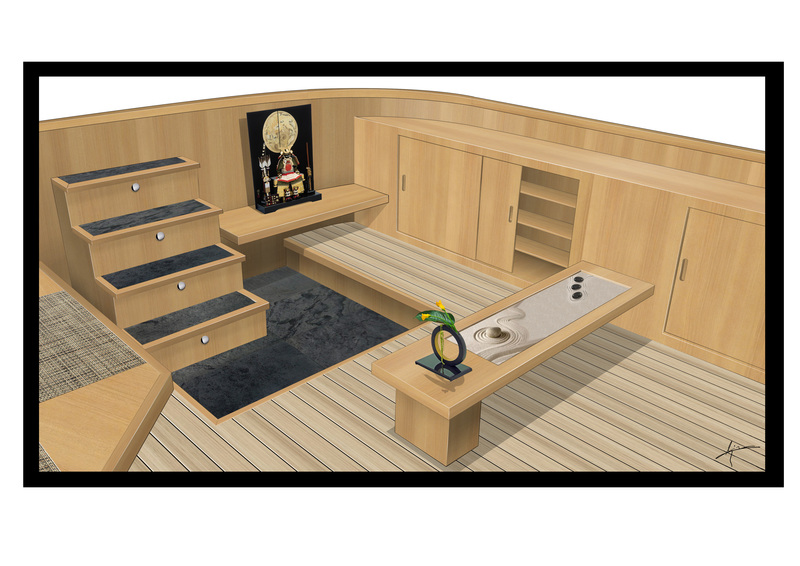 The “display” on centerline of the boat is a small zen garden. It is a combination of sand and rocks, with the little racks it is possible to make the wave shape in the sand. The flower arrangement is a typical Japanese art named Ikebana.